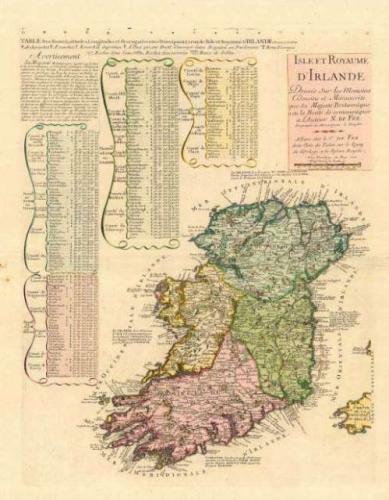 A rare and large, handsome map of Ireland with superb topographical and political information. Three tables list the major towns in each county. Fine old color. There is a small amount of creasing at the centerfold and a couple of unobtrusive spots in the blank margin, else fine condition. Rarely seen on the market.